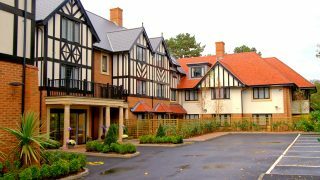 Managing all of Hallmark’s care homes is a busy but rewarding role. 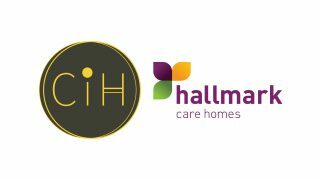 It is a position that ensures that all of Hallmark’s 16 homes continue to provide the highest standards of relationship-centred care and compliance. We caught up with one of Hallmark Care Homes longest-serving employees and Operations Director, Cheryl Wanklyn, who has been part of Hallmark for 15 years, to find out what it takes to be a Regional Director and how operations play a vital role in the care we provide. What does a usual day in the homes look like for you? My day tends to start early. I am based in Wales, so you will usually find me in one of the seven homes in the region– it tends to be a different one every day of the week! The role is diverse and covers a broad spectrum of areas and no two days are ever the same. I could be visiting as a senior Manager or auditing the systems and processes that are involved in delivering the residents’ care. I also frequently meet with the residents, their families and our team members to make sure everyone is content and comfortable and I like to actively get involved in Hallmark’s recruitment and training programmes to ensure that the team have the skills they require and we are recruiting the best people. As much as I can, I join in with the daily activities throughout the homes. I always take the time to listen and thank team members for all of their hard work, care and devotion to the residents. I like to make sure I leave the team members feeling empowered, acknowledging how well they are doing and the huge difference they are making to the residents’ lives. What skills does it take to become an Operations Director? Being involved in the operations side of the company requires a wide skill set. Every day is different and interesting which helps keep me focused on what really matters and how much our homes make a real difference. From flexibility, to being empathetic, to managing finance, helping to organise training and recruitment, I am always busy and focused on ensuring we are achieving our vision, working within the Hallmark Charter, and driving our business forward. A key skill for my role, is to be organised as a variety of topics can arise during a day, some of them can be more challenging to deal with than others. I believe that being organised helps me remain focused on goals and allows me to give everything to my role. How do you encourage the team to get to know the residents and expand their relationship-centred care approach? 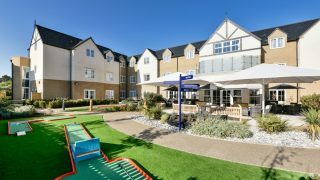 I am very focused on the residents having a great life whilst they live in a Hallmark care home. I see it as my job to ensure that all of the team understand the Hallmark Charter and the company vision and values. We must get to know the residents, their families and other team members in every home – who they are and what they have done throughout their lives. This will aid the delivery of relationship-centred care, helping us to achieve our vision of being recognised as the leading provider. After all, we are the Hallmark family and we love having new members join us. We want every resident and team member to have an outstanding day each and every day. The aim is for everyone to have fun being part of the Hallmark family as you would with your own family. 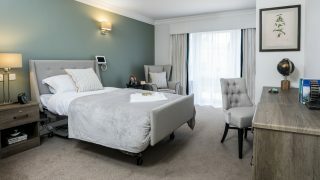 I believe that our lifestyles and care teams within our homes are vital in this aim, as they are at the forefront of driving relationship-centred care, along with the hospitality and housekeeping teams and the senior management. 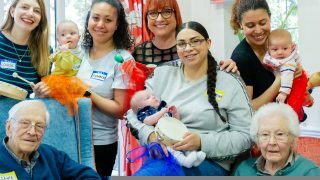 How do you build relationships with the residents and their families? I always try and make myself available to the residents and their families, when I am needed. I visit various professionals on a daily basis, to ensure that Hallmark is always kept up to date with the latest products for our homes. I also try and be available if there is any family meeting, to ensure that residents and their families have someone to reach out to, if I am required. What have been your highlights over the last 15 years? I trained as a Nurse in 1976, and I worked as a Nurse in a hospital when I qualified. I decided to make the move to the care sector in 1995, as I wanted to progress my career and move into a management role. My first role as part of Hallmark was as a Matron/Manager at Cherry Tree Care Home. After a few years, I became the Regional Director for Wales, which was incredibly exciting and I learnt a lot very quickly. My next opportunity came a few years later, when I became the Operations Director, which is a personal highlight in my career. In the last few years, I have returned to lead the Welsh team and I am also a part of the Executive Leadership Team for Hallmark. I have also been honoured to win a Charter Award in 2015 at the Hallmark Care Homes’ Awards, as well as winning a National Care Award as Operations Director in 2013. I was also incredibly proud of our group achievement for the business when we won Care Group of the Year at the National Care Awards in 2014. 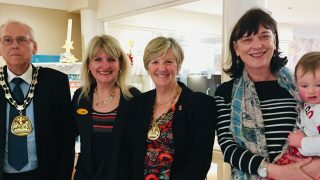 I feel very proud to be a member of the Hallmark family, where I am able to use my experience, skills and knowledge of the sector to deliver outstanding relationship-centred care and have amazing relationships with residents, their families and, of course, my colleagues. I feel empowered to do a great job, as I have a group of fantastic long-standing team-members who I am very proud of, as they consistently amaze me with the passion they show towards their work. My previous role as a Nurse has made me aware of the importance of having high standards of care, and this is something that I see in all of the team members that I have the pleasure of leading. This helps me concentrate on ensuring the business develops so others get to appreciate all of the hard work that is put in by every single member of the Hallmark team! I love this company so much that my husband has said to me that if you were to cut me open, it would say Hallmark right at the centre of my heart! I spend most of my free time with my family or reading. My main passion is spending my free time in the sun on holiday. I do not waste a moment of my annual leave! I go straight to wherever the sun is, no matter what season it is back home in Wales! I do, however, still like to be kept up to date with what is happening at Hallmark and have been known to respond to emails while sunbathing on the beach! 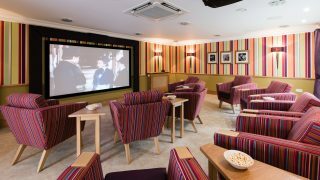 What do you think makes a good care home? 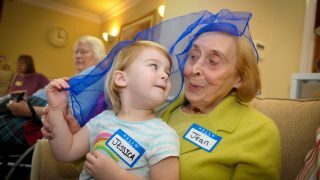 A good care home is a place that is dedicated to delivering outstanding care that is built on family values. Nothing should be too much trouble, as everyone works together as a team to deliver relationship-centred care to the residents, and to one another. In a good care home, residents are living the life they want and everyone feels the warmth and love surrounding the home as soon as they walk in the door. This is what I believe that Hallmark has achieved in each and every one of our homes and I am proud to have been a part of this amazing journey.